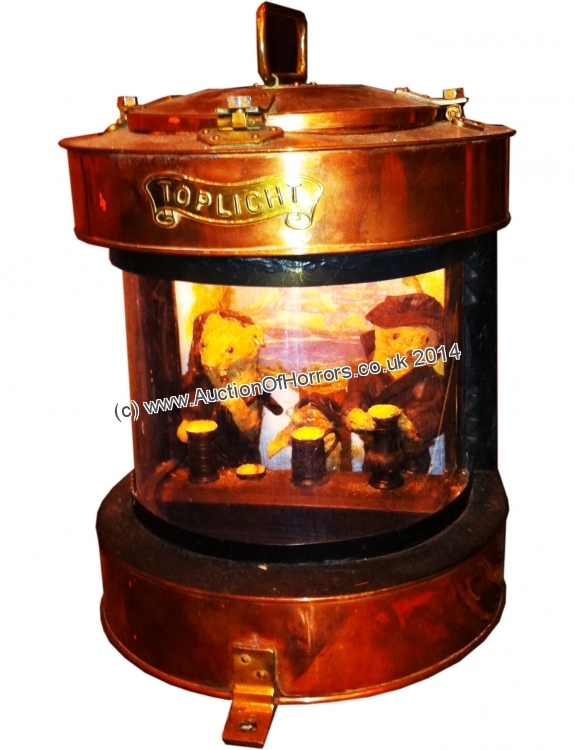 copper ships lantern containing three moles sat at a table drinking. Illuminated. From the collection of The Great Stromboli, and now offered for sale without reserve.